He wanted to do an album like this for decades: Steady As We Go of and with HANK SHIZZOE ! 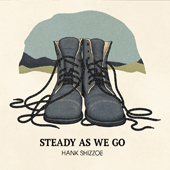 HANK SHIZZOE is back with his new record Steady As We Go. 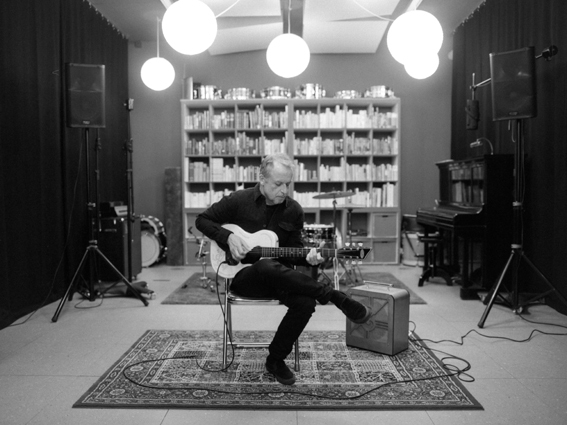 Released on CD, LP and in all digital formats it is a remarkable achievment: Recorded live on the studio floor with his fabulous band, Steady As We Go presents a singer, songwriter and guitar player in top form. This is Americana roots music at its finest, sung and played by an ensemble of musicians whose skills and talents are second to none. New originals meet old traditionals, songs by Randy Newman, Washboard Sam, Tammy Wynette, Bob Nolan and a moving tribute to the late great Tom Petty. Topping off the finely crafted production is the mastering by Stephen Marcussen who was involved in at least half of your record collection. Steady As We Go was recorded over three days at the band’s own studio. Very few overdubs (steel guitars and acoustic instruments) were added before illustrous guests started arriving. Hendrix Ackle played Hank’s grandparents‘ 1929 piano, Tinu Heiniger added clarinet, Rhani Krija from Sting’s band played percussion, Shakuhachi master Jürg fuyuzui Zurmühle graced one song and the incomparable Michael Flury played trombone. Kommentare deaktiviert für He wanted to do an album like this for decades: Steady As We Go of and with HANK SHIZZOE ! Seit Jahrzehnten wollte er ein solches Album machen: Steady As We Go von und mit HANK SHIZZOE !